Bath & Body Works Semi-Annual Sale is ending soon! Be sure to shop and save up to 75% off select items! 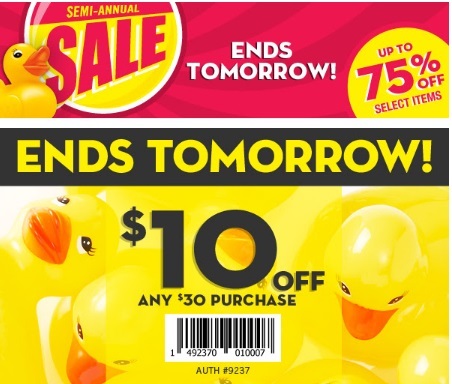 Plus save even more with the coupon below! Save $10 off any $30 purchase or save 20% off your entire purchase. These coupons are valid until Sunday, July 3 2016.